Webinars are possibly the most engaging marketing tool available. They allow you the opportunity to position your brand as a leader and expert in a professional, interactive setting. At Training Industry, we produce hundreds of webinars each year. 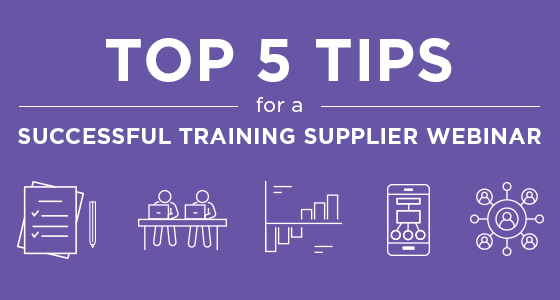 From this experience, we’ve put together a list of our top five tips for producing a webinar that will help give you a return on investment.